This page includes NatashaNixon reviews of users as well as an official review by ContentHeat in which we carefully analyze and write out our experience. NatashaNixon is a well-renowned writing service I’ve heard a lot about prior to even visiting their site for the first time. 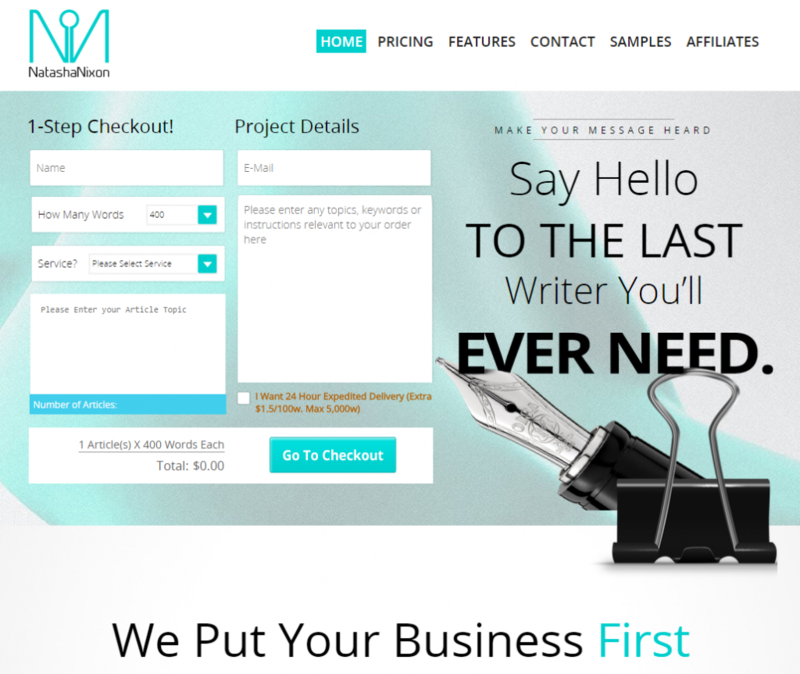 They market themselves as the most popular content writing service on Fiverr, and rightly so. Moreover, they also count among the most popular writing services on the well-known forum BlackHatWorld. NatashaNixon is famed not only for the quality of the content they deliver, but also their extremely low prices. That seemed too good to be true, and I was eager to see what the company has to offer, given their immense popularity. The website itself is quite neat, characterized by white and gentle cyan blue hues. It’s quite minimalistic overall, easily navigated and with a simple order form right at the top of the page. Moreover, it comes with accentuated images of a pen and a coffee mug, both common motifs related to writing. I liked the overall design very much, along with the content laid out on it, particularly the fact that there is none of that generic copywriting full of bland promises to be found - only those of palpable and achievable results. 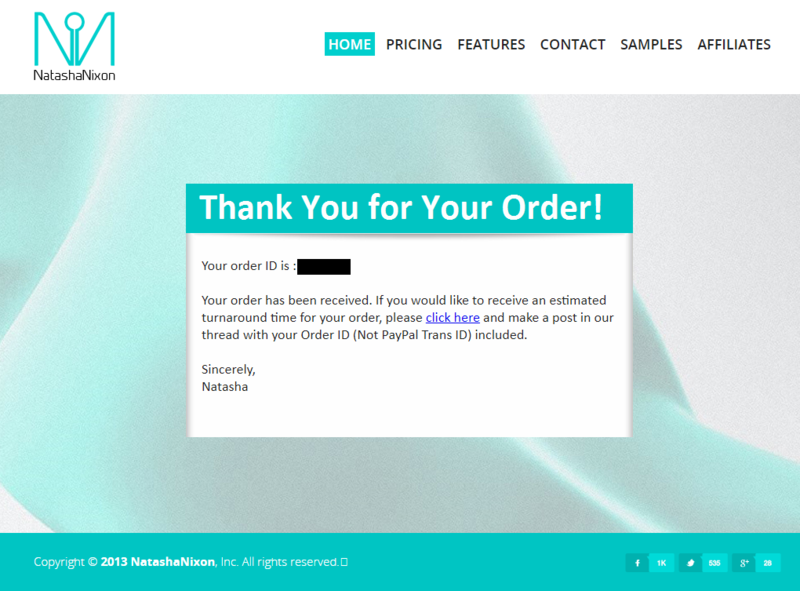 Ordering from NatashaNixon couldn’t be simpler. As said above, their order form is at the very top of their homepage. Clients are only required to provide their name and contact email address to place their order, and orders themselves are quite customizable. 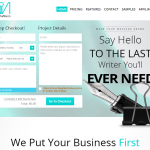 They offer a total of 8 types of content, which are selected from a drop-down menu along with the desired word count. 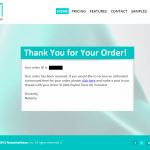 Apart from that, the order form includes two textboxes, one of which is reserved for the subject, and the other for the specific instructions and keywords relevant to the order. And lastly, the order form also sports a tick box for urgent orders that need to be completed within 24 hours, and also punches up the price accordingly. The piece we ordered from NatashaNixon was a short 1000-word article on the topic of “How to make your content engaging”, the price of which amounted to $15, which was extremely cheap. Anyone who has had extensive experience purchasing content from various sources would immediately be skeptical of the quality they’d receive at such a meager price tag. We provided detailed instructions, which were subsequently followed to the letter, barring one exception: the formatting. Namely, we were contacted by NatashaNixon the following day, informing us that their writers submit only plain text documents, excluding any sort of formatting. Normally, this wouldn’t be so much of an issue if not for one little detail: NatashaNixon markets themselves as an SEO writing service, but formatting is as important for SEO as keywords are. It is understandable that a company which receives as much business as NatashaNixon does would try to streamline their process this way, but we were somewhat discouraged by the fact that the so-called “SEO Articles” do not actually provide a full SEO service. We received our article 2 days after ordering it, which was within the promised timeframe, as was expected. The article was organized just like we requested: lots and lots of subtitles and short paragraphs that made the article easy to skim through. Lacking any sort of further formatting, however, made the text very unsightly at first glance. Obviously, we had to do that part of the work ourselves prior to publishing the piece. Overall, the text flowed quite well and included a number of cultural references that truly made the article sound as if it were written by a native, even though I knew for a fact that a native writer with any semblance of skill or experience would not accept $15 as payment for a 1000-word article. The piece itself was highly informative and really hit the nail on the head. Reading it felt like I was going through an expert-written guide aimed at beginners, which addressed many important content marketing questions, complete with professional jargon. The correct expression here would be “the same kind of detail”. Other than that, I could find nothing else to be nitpicky about, and I tried hard. The only other thing worth noting is that the article could have used better and smoother transitions in a couple of places, or that Saxon genitive would have fit better than Norman genitive in one instance, but those are all really minor things, and I don’t want to be the guy who looks the $15 healthy racehorse in the mouth. 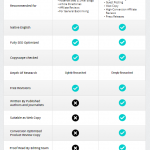 NatashaNixon is honestly one of the best cost-effective solutions for most of your content needs. 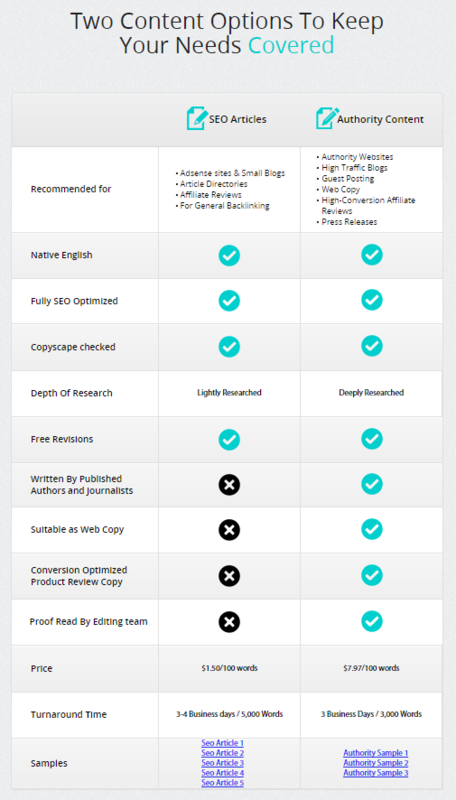 The content they produce sounds professional, is written well, sounds more native than any other non-native writing service I’ve dealt with, and properly addresses the topic that the customer specifies.